The regulations also require the use of the National Livestock Identification System (NLIS). The NLIS will operate through the existing PigPass system. Identifying your livestock assists in maintaining Australia's biosecurity systems that assure trading partners of our ability to trace disease and residue issues effectively. It also deters theft and assists in recovering stolen animals. All pig owners must be registered with the Department of Primary Industries and Regional Development (DPIRD). On registration you will be issued registered identifiers (stock brand, earmark and pig tattoo) and a property identification code (PIC) for the property where the animals are kept. A PIC card is issued that lists the properties that the owner has nominated to run stock on and the registered identifiers for use with the stock. Application for registration as an owner of stock. The BAM (IMSA) Regulations underpin the NLIS. Pigs may have an approved NLIS ear tag displaying the owner’s registered PIC and the NLIS logo. This is the only option for pigs up to 25kg. Pigs over 25kg may be tattooed or NLIS tagged. Your registered pig tattoo consists of an arrangement of 5 numerals. It is presented in the following format 12/123. It is the same number as your registration certificate. Before leaving the property of birth, pigs over 25kg must be slap branded on the left shoulder with the tattoo registered to that property. Before leaving any other property, introduced pigs and those of uncertain origin must be slap branded on the right shoulder with the tattoo registered to that property. If the right shoulder has been previously used for a tattoo, then use the right rump, then left rump. Before leaving the property of birth, pigs up to 25kg must be tagged in their left ear with a yellow NLIS breeder tag bearing the PIC of that property. Before leaving any other property, pigs up to 25kg must be tagged with an orange NLIS post-breeder tag bearing the PIC of that property. If an NLIS tag is applied, it must stay with the pig for life and not be removed. NLIS accredited tags are ordered through your rural merchandiser. You will need to provide your PIC when ordering. Once an NLIS tag is attached to a pig, it must not be removed until the animal is processed in an abattoir. NLIS pig tags issued for use on one property cannot be used to identify animals located on another property with a different PIC. NLIS pig tags cannot be sold, given away or reused. You must not take your slap brand off the property it is registered to without a permit from DPIRD. Pigs must not be moved off a property without having a tattoo or NLIS tag bearing the PIC of the property and a completed waybill or equivalent (PigPass NVD waybill). The movement documents must be kept for seven years. These requirements ensure that animals can be traced in the event of disease outbreak or chemical residue incident. The waybill also provides proof that stock are being moved with the owner’s consent and it must remain with the stock while they are being transported. Pigs must also have their movements updated in the PigPass database (Hyperlink) within 48 hours of the arrival at a new PIC. For more information, see the webpage: Moving livestock in Western Australia . Movements of pigs to a property with a different PIC must be recorded on the PigPass database (Hyperlink) within 48 hours of arrival. The PigPass database will automatically upload all pig movements to the NLIS database. The receiver of the stock is responsible to ensure this is done, even if they do not do it themselves. For more information, see the webpage: pigpass.com.au. failure to transfer animals on the NLIS database after movement to a different PIC. The penalty for a breach of this legislation may be a fine up to $20 000. For the Australian pig industry, the NLIS will operate through the existing PigPass system. PigPass provides the PigPass National Vendor Declaration waybill (PigPass NVD) and the reporting database for all pig movements onto farms, saleyards, showgrounds and abattoirs. The PigPass database will automatically upload all pig movements to the NLIS database, which is used by state governments to trace livestock in an emergency. For pigs in Western Australia, identification has primarily been a slap brand tattoo issued by the WA Department of Primary Industries and Regional Development (DPIRD) when you register as an owner of stock. From 1 February 2018, pig owners will also have the option to use NLIS approved ear tags for pigs. These are visually readable ear tags printed with your property identification code (PIC) and the NLIS logo. If an NLIS tag is applied, it must stay with the pig for life and not be removed. When pigs are identified with tattoos or tags and accompanied with appropriate movement documentation, they can be reliably traced back to the property of birth and/or last property of residence. The receiver of the pigs must report the movement onto their farm, saleyard, showground or abattoir to the PigPass database (www.pigpass.com.au) within 48 hours of the animals arriving. upholding Australia’s reputation as a producer of safe, quality pig meat products. NLIS Pigs also allows faster traceability for disease control in the live pig population. State and territory governments will legislate for NLIS Pigs to commence from 1 February 2018, however there are already some aspects of pig traceability that are mandatory, such as the need for a PIC and the use of slap brand tattoos. All properties running pigs require a PIC. All pigs must be identified with a tattoo or (from 1 February 2018) an NLIS approved tag before leaving the property. A PigPass NVD or other movement document is required for all movements of pigs off a property. All pig movements must be reported to the PigPass database within 48 hours of the arrival at a new PIC. Whether you move one pig, 20 pigs, a Christmas pig or a pet pig off your property, you must have a movement document that accompanies the pigs. This includes movements to other farms or properties where ownership or PIC changes, abattoirs, saleyards or showgrounds. In WA, these movement documents must be kept for seven years. Australian Pork Limited (APL) has developed the PigPass National Vendor Declaration waybill (PigPass NVD) to assist producers to comply with both commercial and regulatory food safety and traceability requirements. Owners of pigs can complete a free PigPass NVD online and print this, or order a PigPass book with either 20 or 50 forms. PigPass NVDs come pre-printed with your PIC and a unique serial number. The serial number links the movement from property of dispatch to property of destination when it is recorded on the database. To assist in meeting the requirements for retaining documents, PigPass NVDs and other movement documents can be uploaded to the database at the time of reporting. The PigPass portal has additional information on how to create a PigPass NVD and record movements. In 2018, APL will also be introducing a PigPass mobile phone or device ‘app’ to assist all pig producers. All weaned pigs must be identified before leaving the property. There are two methods of identifying pigs over 25kg. 1. Slap brand tattoo – this is the primary choice for the majority of commercial producers. Slap brands to apply your tattoo can be ordered through your rural merchandiser. Before leaving any other property, introduced pigs and those of uncertain origin must be slap branded on the right shoulder with the tattoo registered to that property. 2. NLIS Pigs tags – some owners may choose this method of identification, particularly for non-commercial pigs. This is the only method for identifying pigs up to 25kg. Before leaving the property of birth, all pigs must be tagged in the pig’s left ear with a yellow ‘breeder’ NLIS approved tag. These tags can only be used on the property covered by the assigned PIC. Before leaving any other property, introduced pigs and those of uncertain origin must be tagged in the pig’s right ear with an orange ‘post-breeder’ NLIS approved tag. These tags can only be used on the property covered by the assigned PIC. The NLIS Pigs requires that all pig movements between properties with different PICs must be recorded on the PigPass database within 48 hours. This is done using a PigPass account, available free at www.pigpass.com.au, or with the PigPass app when available. It is the responsibility of the receiver of pigs to ensure the movement is reported. 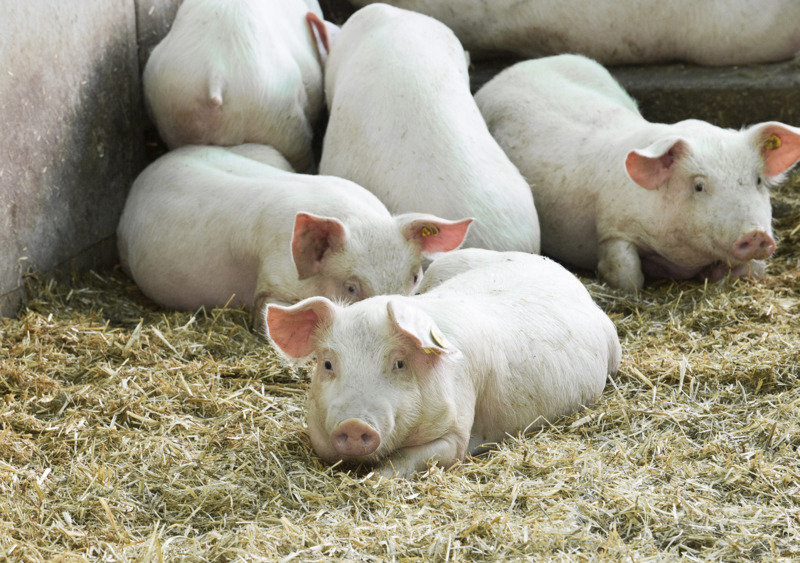 APIQ® accredited property managers have the option to move pigs between their different PICs when ownership does not change without applying a tattoo or NLIS tag. They must have a permit from a DPIRD inspector. The movement must still be reported to the PigPass database using their APIQ® or PigPass account. This is an APIQ® auditable standard. Why are identification and traceability so important? The 2011 ABARES report estimated that a large-scale foot-and-mouth disease (FMD) outbreak in Australia could cost the livestock industry more than $50 billion over 10 years. NLIS Pigs can reduce social and financial impact of a disease epidemic through improved identification and traceability capability. How do I participate in Pigs NLIS? Register for your property identification code (PIC) and pig tattoo from the WA Department of Primary Industries and Regional Development (DPIRD). Register on the PigPass portal (www.pigpass.com.au) to obtain PigPass NVDs and to report pig movements onto your property. You need your PIC and tattoo to register. Identify all weaned pigs with your tattoo or NLIS approved pig tag before they leave the property. Record the age, class and PIC of origin of all pigs brought onto your property. This will help you complete the PigPass NVD when you sell them. Report all pig movements onto your property on the PigPass database. Ensure that all movement documentation is accurately completed and a copy retained for at least seven years.